For many people, the ability to drive is a critical aspect of their lives. Driving allows people to travel freely and enhances their independence and may be essential for employment opportunities and engaging with their community. However, while driving may easily be taken for granted by those are fortunate to carry out this activity, it is an incredibly complex task that relies on adequate visual, cognitive and physical capabilities to perform safely. This article will discuss what is involved in an Occupational Therapy (OT) driving assessment in Sydney. As mentioned above, for an individual to be able to drive safely, they need to have adequate cognitive, physical and visual skills. Unfortunately, medical conditions or injuries may impair a person’s ability to drive. In New South Wales, it is mandated by law that if you suffer from any condition that may affect your driving capacity, this must be declared to the Roads and Maritime Services (RMS). This often means declaring your medical condition when applying for a Learner’s licence or making a declaration if you develop a medical condition or suffer an injury that may impair your driving (once you’ve already obtained your licence). Primarily, it is the driver’s responsibility to make this declaration to the RMS, however other people, such as the person’s Doctor, family member or friend, may inform the RMS if they are worried about the person’s driving capacity. 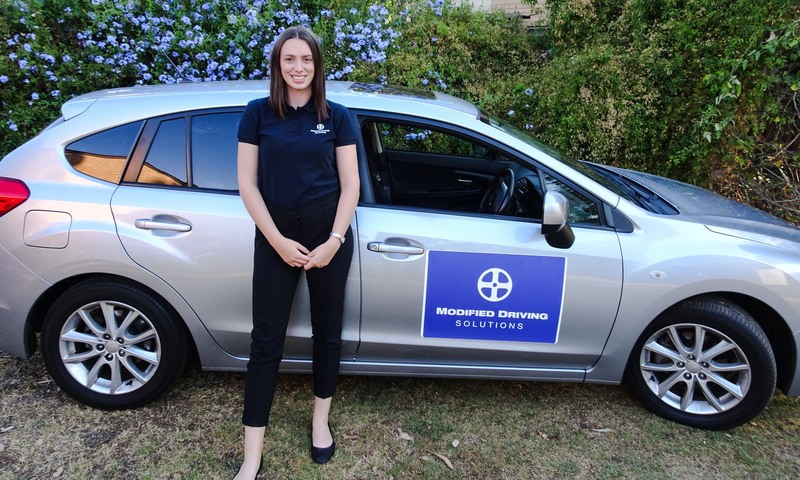 Once your medical diagnosis has been declared to the RMS, you will be required to undergo an OT driving assessment, which are offered by various services around Sydney. An OT is an allied health worker who works with clients with certain difficulties to improve their independence and level of functioning. A driver trained OT is an OT who has completed specialized qualifications to perform driving assessments. Off-road assessment: The OT performs three assessments that look at the person’s cognitive, visual and physical capacity. On-road assessment: The OT and rehabilitation driving instructor accompany the person for a drive around the local area for one hour. The person must drive the driving instructor’s vehicle for safety, as it is installed with an emergency brake that the instructor can activate at any time. The person will drive and encounter all traffic conditions, from mild to heavy traffic situations. The OT focuses on how the person’s medical condition (or conditions) affects their driving. If the person has a physical impairment that prevents them from utilizing all vehicle controls safely, a suitable modification will be prescribed by the OT and installed for the rest of the assessment. Small errors that the person can correct after receiving feedback, do not usually constitute a ‘fail’ of the assessment. However, critical errors (where the driving instructor must physically intervene to prevent a collision) automatically leads to a ‘fail’ of the test. – The person passes the assessment and their medical condition is not impacting on their driving ability. The OT report that will be sent to the RMS will recommend that the person can return to driving with an unrestricted licence. – The person has failed the assessment (i.e. made a critical error) or requires further driving lessons or vehicle modifications to drive safely. The OT will recommend to the RMS that the person needs an approximate number of lessons with a rehabilitation driving instructor to learn new or refine their driving techniques or learn how to use a prescribed vehicle modification. – The person has failed the assessment and the OT assesses that further lessons will be of no benefit, as the person’s driving capacity cannot be improved. The OT will develop a report which will be sent to the client, RMS and the person’s referring Doctor. The report will explain how the assessment went, its outcome and the OT’s recommendations. Depending on the outcome, the person may be required to have further driving lessons and may need a re-assessment once their driving has improved.